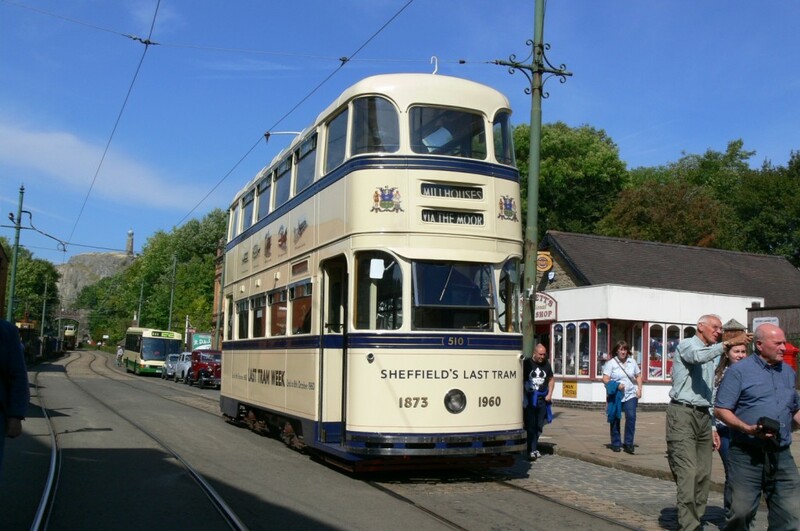 As has become the norm for events of this type at Crich, all of the currently operational tram fleet were rostered to operate, with some cars retiring at lunchtime to allow their crews to bring out different trams in the afternoon. Some, however, were due to stay in service all day. A total of seventeen passenger trams and four vehicles made it onto the main line in total. The day began with a series of photo opportunities, with cars from the Blackpool & Fleetwood Tramroad – namely Blackpool & Fleetwood ‘Rack’ 2, Blackpool 167 and the Blackpool electric locomotive - posed in the street, whilst Leeds 180 was parked up at Town End in recognition of the 50th anniversary of its entry into service at Crich. The tram service commenced at 1030, initially running to Wakebridge only, marking 50 years since the line was extended to this location. At around 1100 a number of trams then proceeded to Glory Mine where they were posed together for another photographic opportunity; the trams chosen were those from the active fleet when the line to Glory Mine was opened 40 years ago, which are still operational today. Meanwhile, on the depot fan, Prague 180 was brought out and posed in the sunshine, to celebrate 50 years since its dramatic arrival in the UK at the inaugural Crich Extravanganza in 1968. There were also further unadvertised photo opportunities in the depot yard with various trams lined up as they waited to enter service later in the day. The morning tram service was worked by eleven different trams: Blackpool & Fleetwood 2, Glasgow 22, Blackpool 40, Blackpool 166, Blackpool 167, Leeds 180, Leeds 345, Leeds 399, Sheffield 510, Blackpool 762 and Liverpool 869. 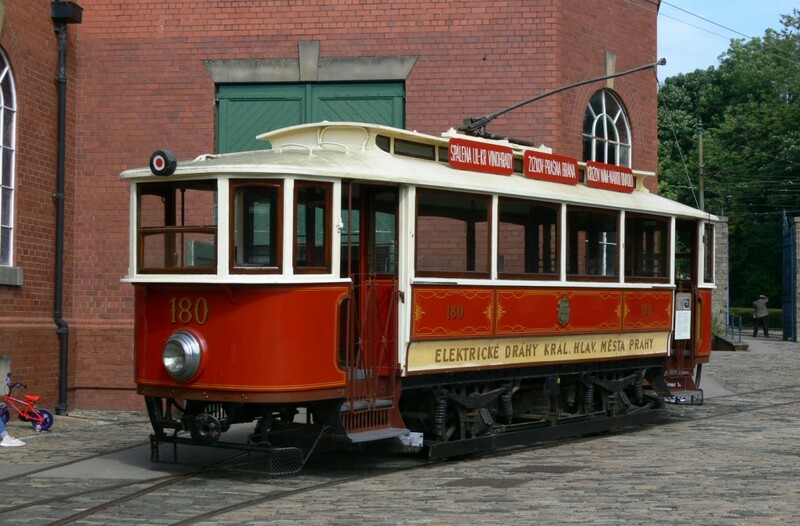 At lunchtime, various trams were either returned to the depot or parked up on the spare track at Town End whilst their crews took lunch breaks. 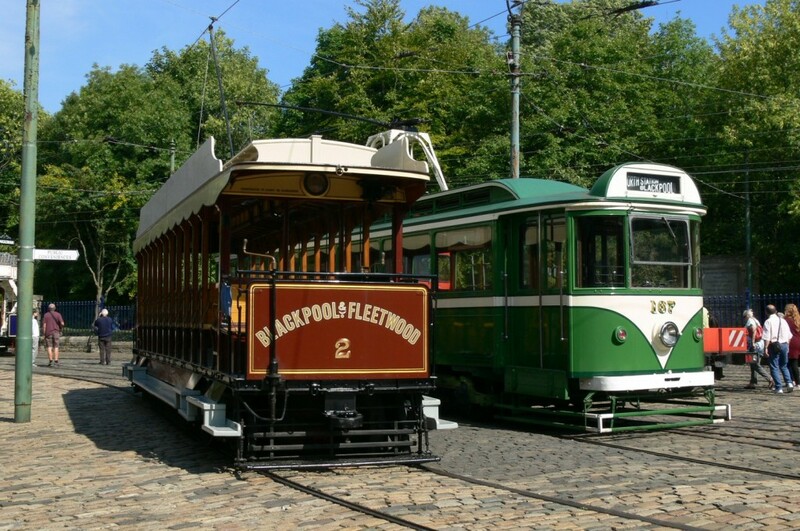 This enabled a line-up of ‘birthday’ trams, with ‘Rack’ 2 and Blackpool 167 - celebrating their 120th and 90th birthdays respectively this year – posed together with 110-year old Prague 180 and London Tramlink 058, which turns 40 this year. Sheffield 74, which is currently out of service again despite being recently repainted, was also posed outside the depots. Unfortunately there was a bit of a lull in the proceedings mid-afternoon, when your writer got stuck in a very long queue at Town End! It seemed that most of the trams that people wanted to ride on were all gathered together on the depot fan at around the same time, with a succession of fully enclosed trams departing on what was, by this time, a lovely warm and sunny day. The situation was not helped by a mini-cavalcade featuring birthday trams; led by Tramlink 058 and also featuring Blackpool cars 2 and 167, this ran straight from the depot to Glory Mine, and with a large gap between service departures from Town End this did little to appease the people who had been waiting some time for a tram. Happily, the cavalcade soon arrived as more trams began to enter service for the afternoon shift. All-day trams 2, 167, 510, 762 and 869 were joined in service by Chesterfield 7, LCC 106, LUT 159, Blackpool 236 and Blackpool 630 which provided a much better selection of trams for the weather. As well as the Tramlink rail-mounted crane, Cardiff water car 131 and the Blackpool electric locomotive were offering rides to visitors, whilst diesel locomotive GMJ also joined in on the main line action. 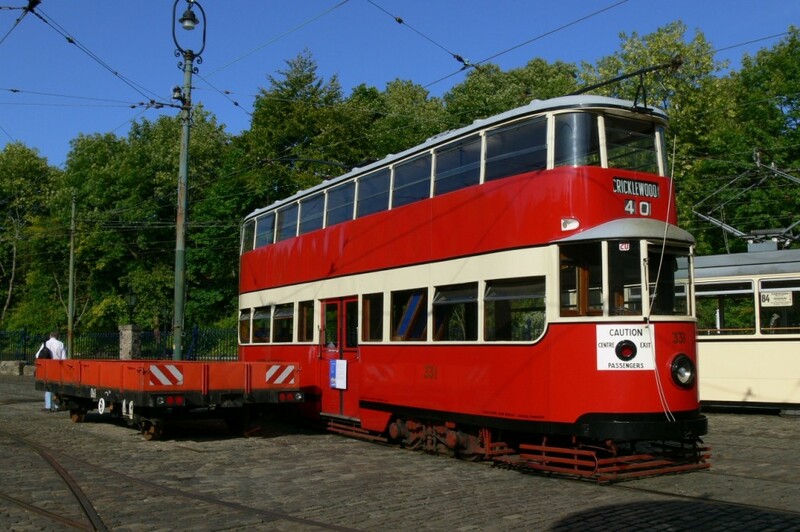 In the depot yard, Metropolitan 331 was brought outside – sadly this tram is out of service at present due to a broken window and therefore did not run on this day. 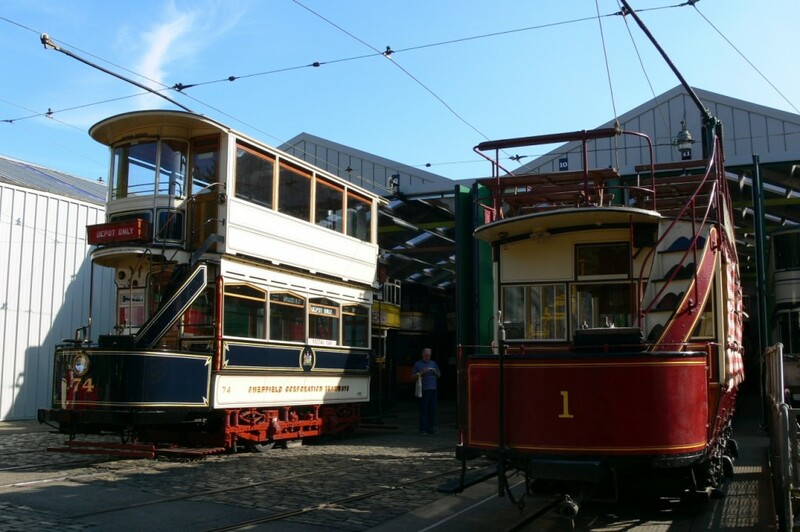 Prague 180 was moved on the traverser back to its usual home in the depot, and then two very elusive vehicles were extracted from the Exhibition Hall – Douglas Head Marine Drive 1 and the Manchester horse drawn tower wagon. The latter was particularly welcomed by the writer of this piece who had never seen it outside before and his gartitude for its appearance must go on record here! As the various trams headed back to the depot at the end of a busy day, it was left to ‘Rack’ 2 to perform the final journey at 1730. The same car then operated a further trip for volunteers who had helped to put on the event, before returning to the Exhibition Hall, where it is likely to stay until resources become available for the mechanical overhaul it requires to return to regular service. However, this one-off outing was very much appreciated and those who rode on it will no doubt agree that it was a real treat to have another chance to enjoy this fantastic tram one more time! Despite a few niggles, mainly concerning the rather slow mid-afternoon period, ‘Simply Trams’ delivered as expected, another quality day out and a great showcase of the collection of the National Tramway Museum. 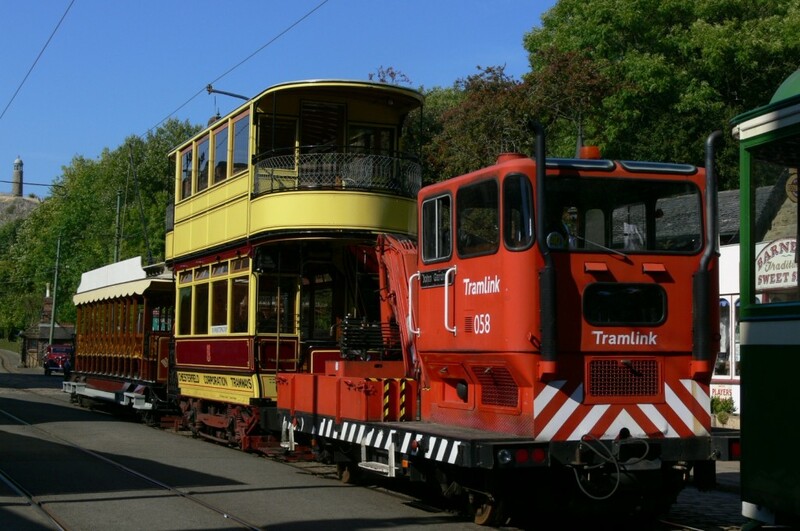 Thanks to all involved for putting on an impressive show, and now we look forward to the 2019 event – and the 60th anniversary of the very first trams to arrive at Crich. Yes, more anniversaries are coming! 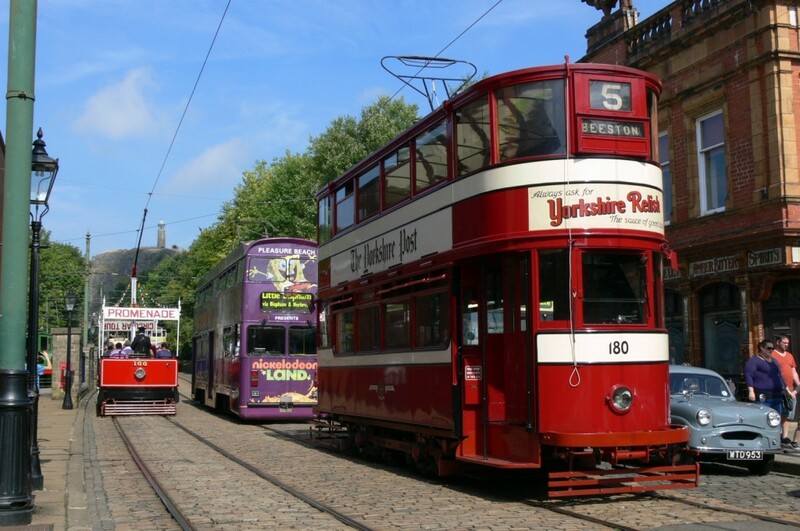 A typical scene from 'Simply Trams' day with lots of sunshine and lots of trams! Leeds 180 dominates this street scene, with Blackpool 762 behind it and Blackpool 166 heading in the opposite direction. Prague 180 posed on the depot fan, where it spent most of the day on display. Blackpool & Fleetwood 2 and Blackpool 167 pose on the depot fan as part of the lunchtime 'birthday trams' photo opportunity. Although most trams only worked for half a day, a few were in service all day. One such tram, Liverpool 869, is seen reversing at Glory Mine terminus. Another all-day tram, Sheffield 510, looks resplendent at Stephenson Place. Croydon Tramlink 058 leads a line-up with Chesterfield 7 and Blackpool & Fleetwood 2 in the street during the afternoon. A late afternoon apperance on the traverser by Douglas Head Marine Drive 1 enabled this shot of the unusual Manx tram along with Sheffield 74. 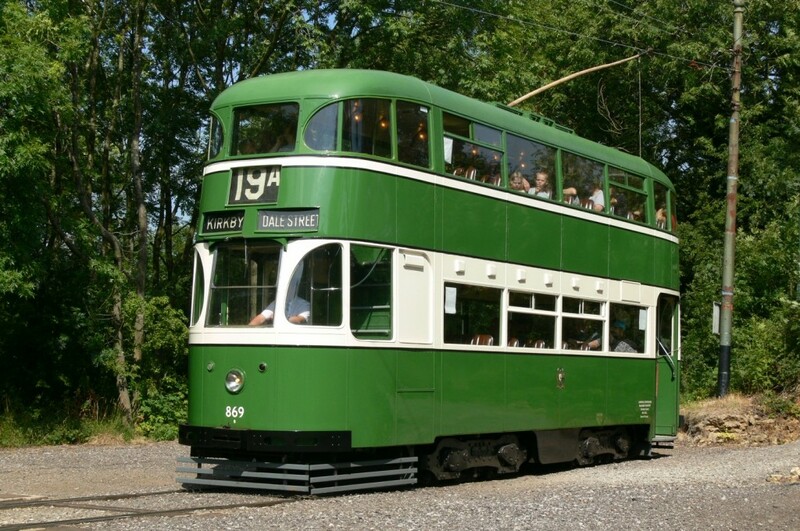 This entry was posted in Crich Tramway Village, Event Reviews. Bookmark the permalink. The slight hiccup in the afternoon when services ground to a halt was caused by the Crowdon TRamlink 058 being unableto pass the restored Blackpool bus parked outside the Red Lion. It took time to get the bus out of the way…..then services resumed as normal. Crich is clearly suffering what what most places are – lack of anything new to interest the enthusiast – thankfully this will change soon when 1 comes online. I do wonder why 166 was morning only though on a boiling day and a missed opportunity of not having both racks run the final trip together. There was also a lack of customer service a few times when Trams were moved to make it easier to board and the back of the queue were allowed to board first upsetting quite a lot of people. Plus there was one member of staff who clearly has never heard of the word please nor the fact you don’t need to shout at everyone. Its a shame 74 and 331 were unavailable too. On the whole, though, I would say a good day and its always good to see all the running trams out and about – I can appreciate what a logistical nightmare this must be to all run smoothly. The errant bus provided a bit of light entertainment in the afternoon. The chance to change Trams at Glory Mine is also very welcome, though annoyingly the outbound Trams all went before the inbound passengers had a chance to get off and change! waiting a minute or two for changing passengers would be a nice gesture. On the whole a good day, just marred a little by the niggles mentioned above – and its those niggles people remember most! And yes, my concerns and comments have also been passed on to the museum.